Just today I heard another true story of someone witnessing the devastating, in your face chewing out coming from a youth baseball coach toward a 9 year old player. The Mean Machine strikes again. Everyday at every youth baseball ballpark across the country the same scene is performed. Adults chewing out kids---and parents either oblivious or just going along thinking that coaches have a free license to be mean to their kids. Negative treatment that you would not even use on your dog is used toward players. Often demeaning, embarrassing and downright meanness is expressed from youth coaches toward youth players. Usually when I witness it happening it is often hidden from the parents and done behind a dugout or when the player and coach have their backs to the crowd out on the coaching boxes or on the field. 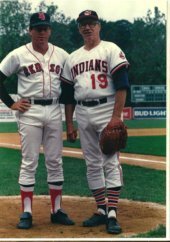 Hall of Fame pitcher Bob Feller said it best; “The jury is still out on Little League (youth baseball) on whether it builds up ballplayers. The biggest problem I have with it is the pressure to win. That pressure is not placed on the kids by themselves, but rather by the coaches, parents, and organizers. 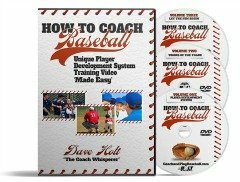 What is wrong with mentoring and teaching players in a positive way? 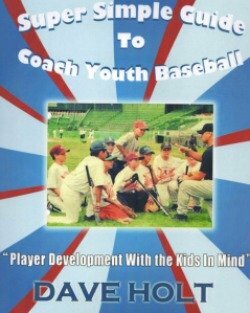 Why can't youth baseball coaches give up on the winning-at-all-costs approach? When will parents say enough is enough and demand coaches are trained in positive coaching methods and player development models?